We were one of the first Atlanta locksmith companies to actually have a website. Due to our familiarity with the metro Atlanta area allows us to quote accurate response times. As a result of our competence that comes with 20 years of experience is the difference between a repaired lock rather than a replaced lock. If it can be fixed we're the Atlanta locksmith company that can pull it off. Above all we know your time and money are important, so we go out of our way to be sure that neither is wasted. 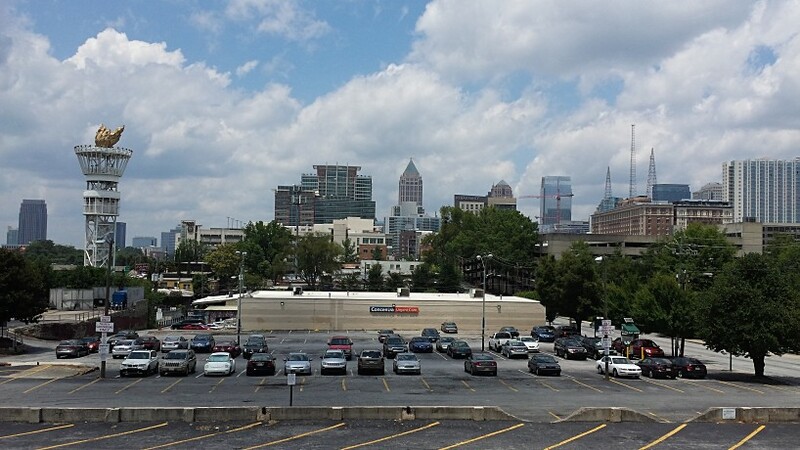 We understand the days of having trouble finding locksmiths in Atlanta have certainly passed. Northstar Locksmiths knows you have an abundance of choices when the time comes to hire an Atlanta locksmith company. Therefore we see every job you hire us to complete as a chance to earn your business again and even more importantly your referrals. With over 20 years of experience in the industry if we can't repair the locks you have, our locksmiths are skilled at completing even the most elaborate lock installations with ease. Whether you need a simple office lock changed or a rusty hollow metal door replaced we're the Atlanta locksmith that's got you covered. Unlike some of the other locksmiths in Atlanta area we quote firm prices and if we should ever arrive on a job and think that more work is needed. We'll simply re-quote the job and if the new quote fits your budget we'll get to work, consequently if it should not, then we'll part as friends with nothing owed. We are not nor will we ever be one of those Atlanta locksmith bait and switch companies. 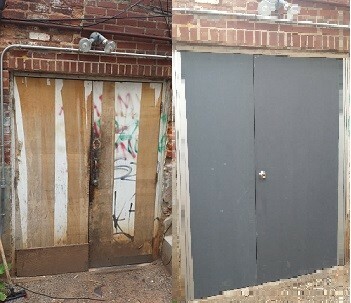 Commercial wood door replaced with a hollow metal door. Northstar locksmiths Proudly offers the LSDA Product line because of it's affordability and also it's durability. Unlocking a car by the Olympic torch in Atlanta. 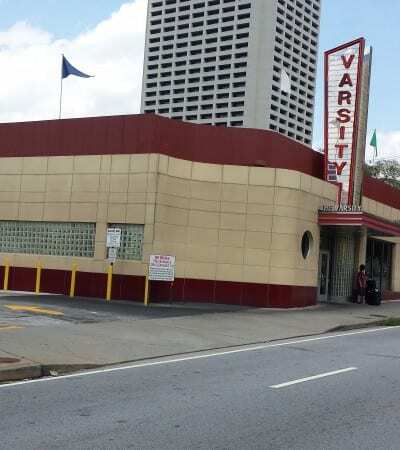 Doing a little locksmith work at the Varsity in Atlanta.